on Thursday, 26 March 2015. We are very excited to announce the launch of our A6021 Deluxe Rigid Cymbal Vault. We have used all our knowledge and craftsmanship to design, what we believe to be, the finest ever cymbal case. Compromise was out of the question when specifying this new case, which takes cymbal storage and transportation to another level. The new deluxe cymbal vault has been designed using Protection Racket’s Triple AAA - Access All Area – All Accidents Averted drum case technology. This means the case has a super tough, impact resistant, polycarbonate frame, which is fully rigid but very lightweight, weighing in at only 4Kg/ 8.8lb. Internally, Protection Racket have made liberal use of the Rocket Foam™ andPropile™ fleece linings making sure cymbals will now travel in style. Jeremy Steinkoler "Finding the Groove"
on Friday, 18 May 2018. Team PR's Jeremy Steinkoler has recently published a book "Finding the Groove" a collection of essays about drumming, teaching, and performing, with stories about parenting, baseball, golf, fishing, and other worldly pursuits too! Links to digital version from Hudson Music and the paperback version from Amazon below. on Friday, 27 March 2015. A new compact & bijou hardware bag for your favourite hardware. 30” long x 11” wide x 7” high with a 19” long x 9” wide x 2” deep zipped pocket on lid. Coffin style lid for full opening and easy entry and exit of your hardware with 2 x internal straps to hold everything down in transit. 3 x carrying handles on top and base of case and at one end with a fully padded and adjustable shoulder strap. Hardwearing PVC diamond material at the base of the case to protect in transit. The perfect hardware case for your favourite pieces of hardware or your only case if you have a small set up. Will comfortably transport 1 x hi-hat stand and 3 booms stands. on Monday, 20 April 2015. Just had news in from long term Protection Racket fan & endorsee Spike T smith about his newly set up You Tube channel where he has recorded a cross section of drum play throughs' ranging from Buddy Rich to No Means No to The Prodigy as well as a selection of his own tunes..
Spike has played with the likes of Morrissey, The Damned, Killing joke, New York dolls & many others so it's well worth having a look. He'll also be including live cams from his forthcoming U.S dates with Conflict & studio footage & promo videos that he has recently recorded with reformed Punk Metallers Sacrilege. on Wednesday, 01 April 2015. Team Protection Racket's Ben Stone has a wicked YouTube page showing Drum cam footage from his live gigs with Tom Jones, Mike & The Mechanics, Roachford. Check out the link below for some great drumming from the drummers perspective. on Wednesday, 14 February 2018.
on Saturday, 24 March 2018. We are pleased to announce the launch of our new Protection Racket YouTube channel. 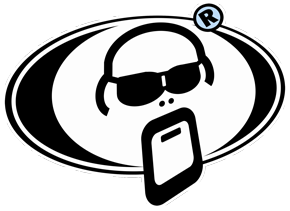 Here you will find videos from Team Protection Racket artists explaining why they choose to use our cases. There are also dealer testimonials letting you know why they choose to stock PR. We will also be uploading video of new products as and when we launch them. If there are any products that you'dlike to see in action, please email the office on info@protectionracket.com and we will do our best to get a video up as soon as possible. Coming soon for all you Racketeers out there that love all things Protection Racket. Got a computer, got a laptop, got a mouse? Then you need one of these in your life. Protection Racket PR Logo shaped Mouse Mats. One size fits all :-) If you don't have a mouse, they also make for great coasters/beer mats! Keep an eye on the website and we will anounce when they are available. on Tuesday, 05 May 2015. So, this is how they sell Protection Racket in Iceland.